In an arts and performance review, you analyze a special piece of art—a song, dance, play, poem, musical, painting, or photograph. This type of review analyzes the sights and sounds of the performance, the themes expressed, or what the work reveals about the creator or performer. The review also expresses your feelings about the work. Click to read one student's review of a rock band from the 1990s. Your Turn Imagine you are an entertainment critic for The New York Times during the Harlem Renaissance, an era during the 1920s and 30s that is known for being a golden age for African-American art, music, dance, and literature. Your editor has assigned you to write a review of a special piece of art from the period. Follow these instructions to complete your assignment. And meet your deadline! Watch this video for background information about the Harlem Renaissance. Complete background research on the artist, writer, musician, or performance. Give your opinion of the art or performance. Give examples from the art or performance to support your view. Use sensory details to describe something special about the sights, sounds, colors, or words. 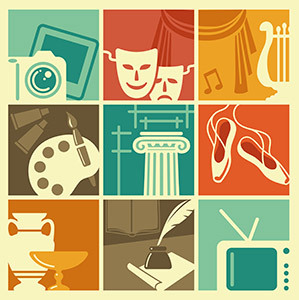 Provide background information about the artist, writer, performer, or genre. 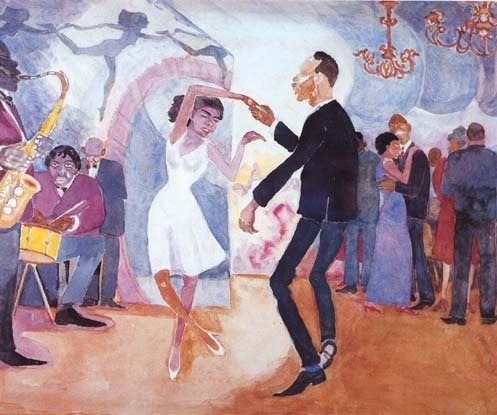 Describe how the piece fits within the larger culture of the Harlem Renaissance. Writing an Arts & Performance Review by Thoughtful Learning is licensed under a Creative Commons Attribution-NonCommercial-ShareAlike 4.0 International License. Based on a work at k12.thoughtfullearning.com/minilesson/writing-arts-performance-review.